Fairfax Plant Hire are a progressive company with a very clean easy to use website. It lists all the Plant and equipment instock along with the Technical Specifications, Operator instructions and Safety documents available for download by their customers. Having all this information available is ideal for customers as it’s a one-stop-shop for documentation. In this era of ever increasing health and safety requirements, clients are now requesting copies of “Pre Hire Inspection” reports which added to the administration following each hire of plant. Previously these were just kept on file for their own use by Fairfax. Fairfax Plant Hire following the success of uploading specification to the website decided to address this issue and approached Sitecert for a solution. The Fairfax account is slightly different to our normal Sitecert accounts which are mainly for 3rd Party Inspection customers. They became our first “In-house compliance” customer for whom we have a different setup for these sort of companies. They saw the benefits of automating inspections using mobile devices for “Inhouse Compliance” such as “Pre-Hire Inspections” to capture the condition of the equipment before it is delivered to the customer. This ensures that a hire is never delayed due to paperwork missing. Now they use the Sitecert Inspection system for LOLER, PUWER and “Pre-hire Inspection Reports” so that everything is at readily available for their customers. The login is directly on the home page, so customers cannot miss it. Fairfax have really utilised the checklists customisation feature of Sitecert, a different checklist is displayed depending on the manufacturer of the machine & model being inspected. This ensures strict adherence to manufacturers best practise. This saved having to send staff to all the manufacturers training days on equipment, as each “Pre-hire Inspection” checklist is tailored specifically for that machine. Users cannot go wrong as each step is prompted. Companies have different reasons for adopting Sitecert and this is one which we did not pre-empt during design but it does make sense and a big saving for Fairfax. 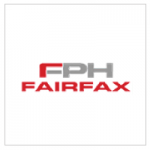 Fairfax are expanding rapidly and taken to social media like a duck to water. Streamlining inspections and giving access to documentation enables them to expand without a reduction in service to their customer. Freeing up resources allows them to market and grow their business without the shackles of administration growing exponentially. We are delighted to have such a “tech orientated” company like Fairfax onboard as it allows us to test out new technologies which we are working on.